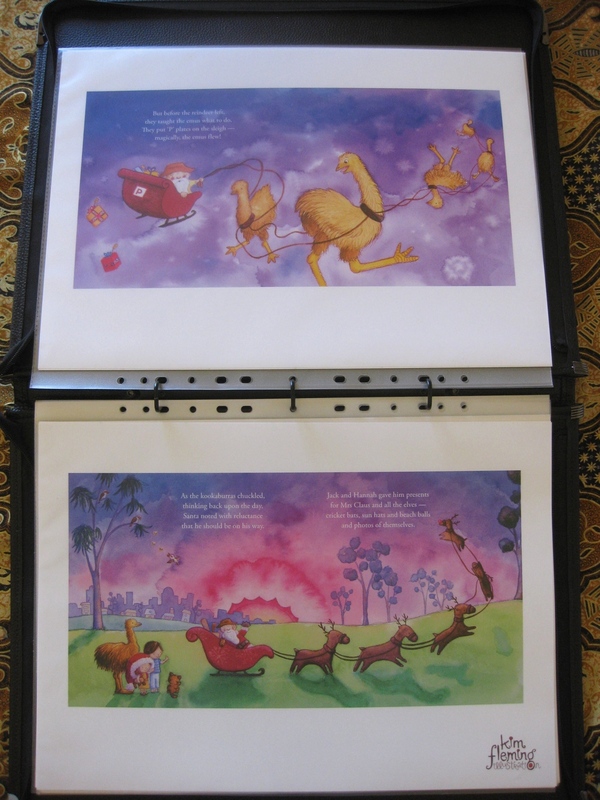 Well I've put the finishing touches on my folio and I'm ready to rock into the SCBWI conference in Sydney on Sunday. I put a lot of thought into my folio this year, and I thought I'd give you a run-down for anyone who might be trying to do the same and not knowing where to start! Deciding on the pieces you are going to include is naturally the hardest part. The best piece of advice I have heard about this is: Less is More. And: only put in your strongest pieces. Don't fall for putting something in just because it was published once. That doesn't mean it's your strongest work. It's better to omit weaker pieces than to have a bulging folio filled with mediocre work. I chose to put in about half published work, half personal work. Often personal work is where our joy, love and passion come out the most anyway. Once you have made your selections, arranging them in a sequence that flows is paramount. Think of it like laying out a book and you should have no problem! Next, it's time to put them all together. Your display book should have a professional look about it. These days I think an A3 size is fairly standard. 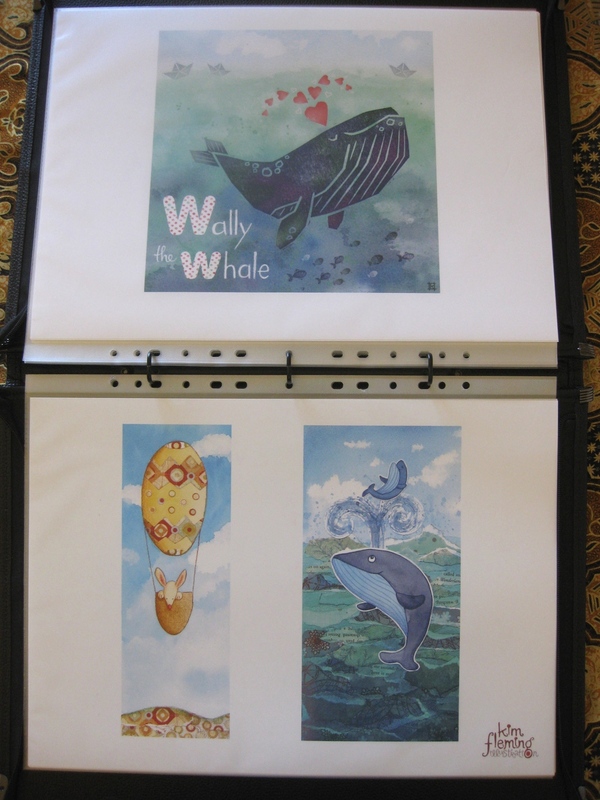 I also feel that a binder system which lets the pages sit flat is really important. Some of them have a bit in the middle that clasps shut which makes it hard for the folio to sit open, and could even potentially damage the prints. I actually made a dash out this morning to buy a new folio to avoid this problem! My new little black book - 'Colby Art' A3 portfolio. Your first image should have a wow! factor to make the viewer want to turn the page. It's also great if this can tie in with any other branding materials - this is the same image I used on my postcards. Most of my work is very sweet and happy. I did this top piece recently to show some darker emotions, and it fits well with the piece below. These two illustrations are from the same book even though they may not look like it. This shows how I handle different settings and light. The first few pages are all watercolours. Here I am starting to show some different techniques using collage. This is the only page where I have more than 2 images. I made this choice because I really wanted to include the bottom left hand image as I have gotten good reactions to it in the past, it just needed another image to sit beside it because of its vertical format. Plus you can never have too many whales! These pieces are less 'book-y' but very fun for me to do. I think they are strong pieces in their own right even though they are slightly more 'posed' than 'telling a story'. Here I'm coming back to my signature watercolour technique and 'book-like' format. These are from a published book. I hope this gives you some insight into putting together a successful (I hope!) 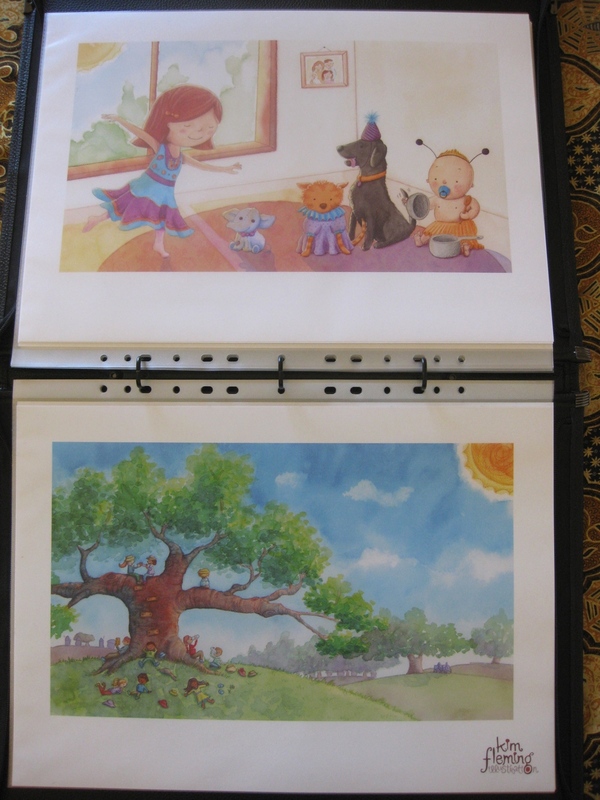 children's book illustrator's portfolio.